If you’re looking to book a corporate event or an exclusive party, a River Escapes cruise offers an exclusive venue that everyone will be talking about. Let River Escapes take care of your every need. Our team of professional event managers and caterers are on hand to take the stress away and ensure your event is a success. Speak to us and we’ll organise any special requirements (champagne receptions, canapés, flowers, music…) you may have to create the event of your dreams. 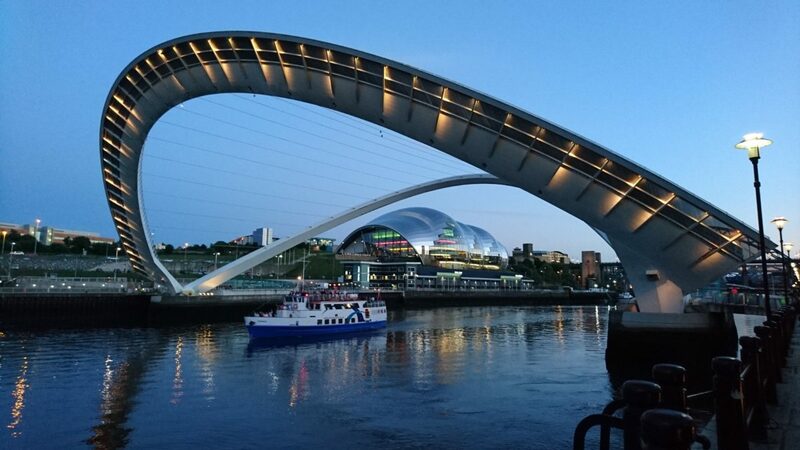 With exclusive use of one of our two vessels, Fortuna or Coventina, sailing you and your party along the River Tyne; a River Escapes cruise is the perfect venue for any occasion and guarantees a memorable event. Offering great value for money, River Escapes provides an unrivalled and professional service allowing your cares to drift away long before you step on board.